Typical plant-filled street with window bars and perfectly clean, I love these narrow Andalusian streets. Tiles, bricks and white-washed walls all add to its charm. 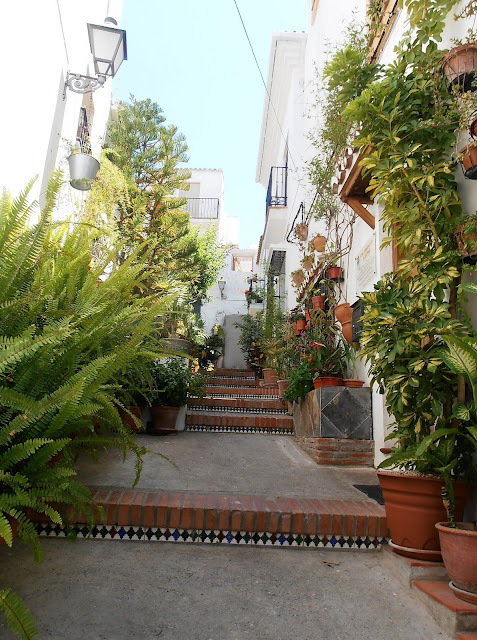 This one is in the coastal town of Estepona in Malaga province. See my Monday Morning Photo list.